Inverness school pupils are getting STEM career inspiration in a major event marking International Women and Girls in Science and Engineering Day. The Highland Council has paid tribute to former Inverness Victorian Market Superintendent Harry Lawless who died recently. 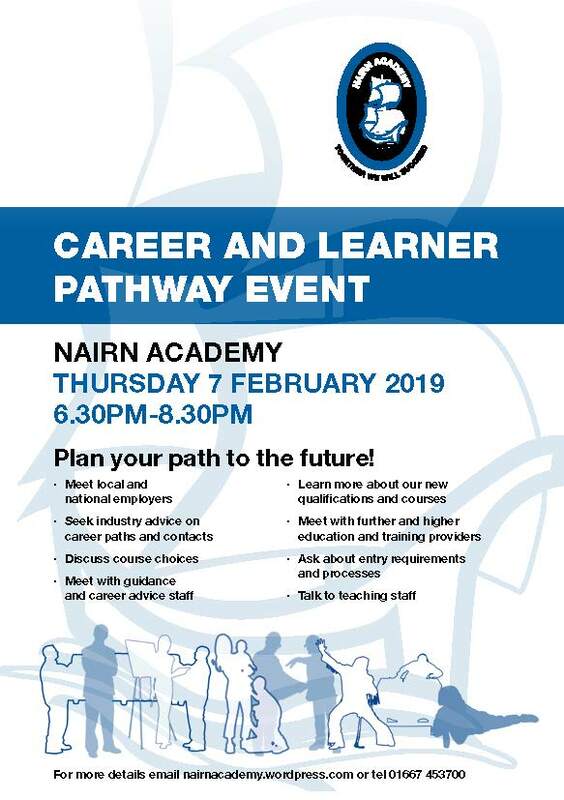 Nairn Academy is to host a Careers and Learner Pathways Event on Thursday 7 February between 6:30pm and 8:30pm. Close the Gap, Scotland’s national expert on women’s labour market participation, launching the pilot of an innovative employer accreditation programme which will support employers to advance women’s equality in the workplace, and prevent violence against women. Discussions have been held recently between SNAP and officers and Chief Executive Donna Manson met with SNAP Directors and staff today. A report on the progress made to drive forward the strategic Ross and Cromarty Area Priorities was on the agenda of the Ross and Cromarty Area Committee today (Wednesday 30 January 2019).